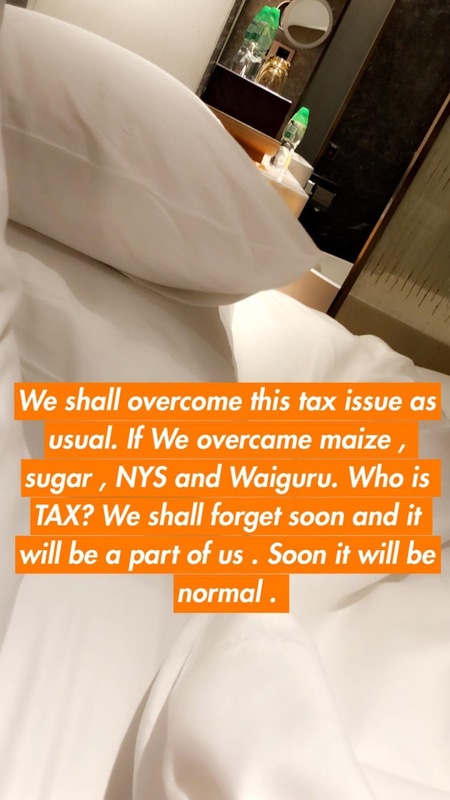 Huddah Njoroge has decided to add her voice on the ongoing debate about the 8% VAT on fuel that Uhuru Kenyatta recently proposed and signed into law days late. 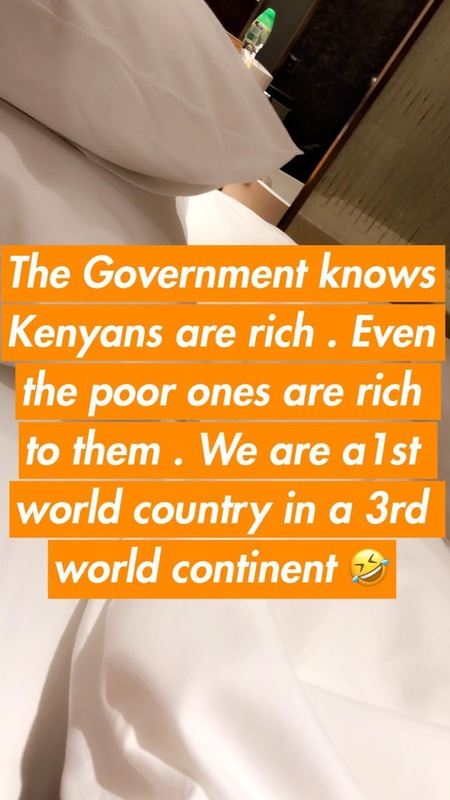 Her opinion can only be described as cringe worthy. 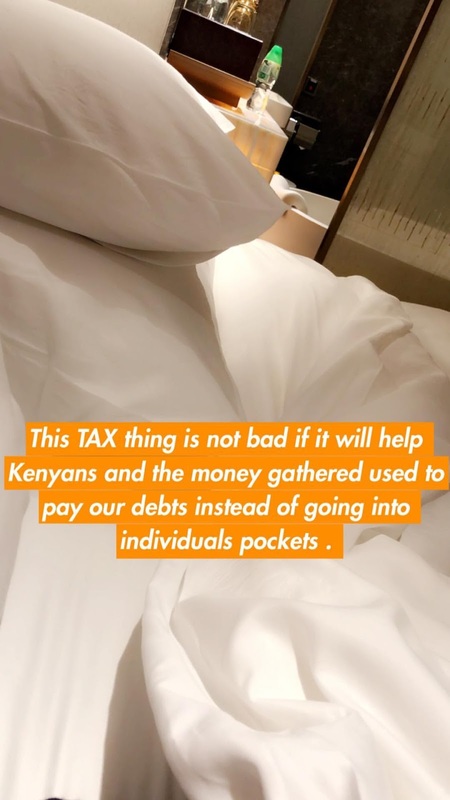 The celebrity who is known for her line of cosmetic products, raunchy photos and luxurious travels is of the logic that the tax thing is not bad if it will help Kenyans and the money gathered is used to pay our debts instead of going into individual pockets. 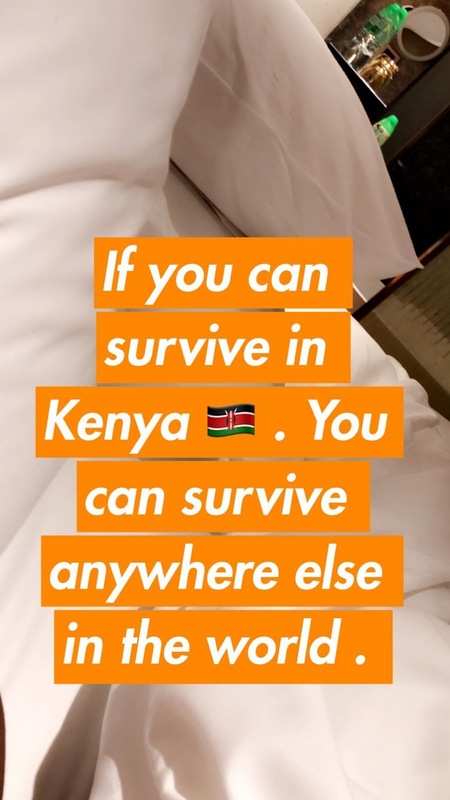 Refer to the images for the full context.